3 Bedroom Semi Detached House For Sale in Stoke-on-Trent for £115,000. 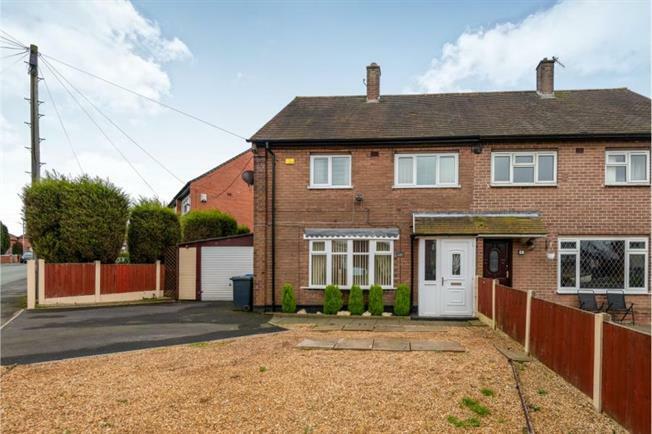 Beautifully presented three bedroom semi detached property situated on a good sized corner plot providing off road parking and garage. The ground floor accomadation briefly comprises, Entrance hall, Lounge, Fitted kitchen/diner, Seperate utility room, Conservatory and downstars WC. To the first floor there are three sizable bedrooms and the family bathroom. This delightfu family home has a large private front garden with a large driveway leading to the gargae and a lawned area. The rear garden is accessed from the conservatory and leads out on to an indian stone feature patio whilst also benefiting from a raised decked patio area and raised mature borders.